Mumbai: Calling it not a case of accident but blameworthy rashness, the Maharashtra State consumer dispute redressal commission was seen ordering a doctor to pay a compensation of Rs 41 lakh in a case of medical negligence that led to the death of a female patient 15 years ago. The commission observed that Dr Ashit Hegde, intensivist attached to PD Hinduja Hospital lacked skill and due care while treating her for collection of fluid around her lungs that resulted in a rupture of her spleen leading to her death. The case was that of a 35 year old female, who had come to casualty to the hospital, with complaints of breathlessness and chest pain. She had earlier been advised hospitalization on account of suspected hepatitis. At the casualty Dr Hedge diagnosed her with Plerual Effusion and began treatment with procedure of tapping to take out excess fluid. The family of the patient alleged that the doctor was negligent during treatment and punctured her spleen while doing tapping for Pleural Effusion, leading to internal bleeding and her eventual death. The counsel for the patient argued that that negligence was evident, as while tapping her with a needle twice to clear the effusion, Dr Hedge had failed to take help of an ultrasound. “There was profuse internal bleeding,” he said. A scan showed that the needle had punctured the spleen. The doctor then admitted her and sought to remove the spleen. The doctor denied any negligence and argued that the patient suffered from alcoholic hepatitis and early cirrhosis of liver reports TOI. “The subsequent decision to remove the affected spleen, in a major operation, was the obvious cause of death in post-mortem findings and established the doctor’s negligence,” said the commission while slapping a compensation of Rs 41 lakhs on the doctor. What is also interesting to note in this case is that based on the arguments put forward by all the parties, the commission concluded that the hospital was not at fault and absolved it. “Hinduja Hospital has no role in the deficiencies in service rendered to the patient,” held Justice A P Bhangale, the commission president, and judicial member D R Shirasao. Upbhokta kanoon don\’t fit for human treatment. 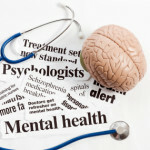 Only technical expert opnionof same branch of treat must be taken of one or medical team. Punish ment of negligence should be proportional to fee deposited by the client.It should be applied to practioner also. There is no any hospital in the world whom death can be avoided. 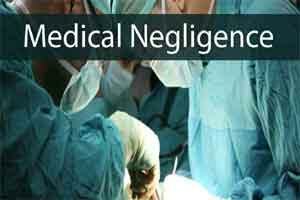 Human errors of Docter should not be presumed as medical negligence. Example: Jay Lalita CMof Tamil Nadu can not be saved her life even after all medical faculties. If you want international treatment standards and compensation you must pay international treatment costs. In India people want international standards but want to pay Rs 100 or Rs 200 as doctor fees even during night time. You can\’t even get any other professional at that point of time even after paying thousands of rupees. Agree compansation is less compare to the international scenario. At the same time compare to the international scenario the cost of medical treatment is too law just considering majority of our patients economical condition ,in this case its easy to say dr had not used sonography by international standard but the patient cost factor in mind of dr is never evident. solution seems cover all Indians under mediclaim policy coverage so as for doctors and nobody will have issues,which is the situation in western countries. By such decision ,doctor will fear and so patients will suffer. If all r going to harass doctors like this , that day is not far when we will refuse every patient whom we will consider a future litigation or assault . Court will be amused to find that very few doctors can afford to pay such a huge penalty . Patient can drink , can have cirrhosis , can have congested spleen , has pleural effusion , but when the patient dies , it\’s all fault of doctor n lottery ticket for relatives . Soon , all worthy doctors will either leave country or profession . Hope then society will understand how to treat vital intellect content of country . May be these ungrateful people deserves that future only.